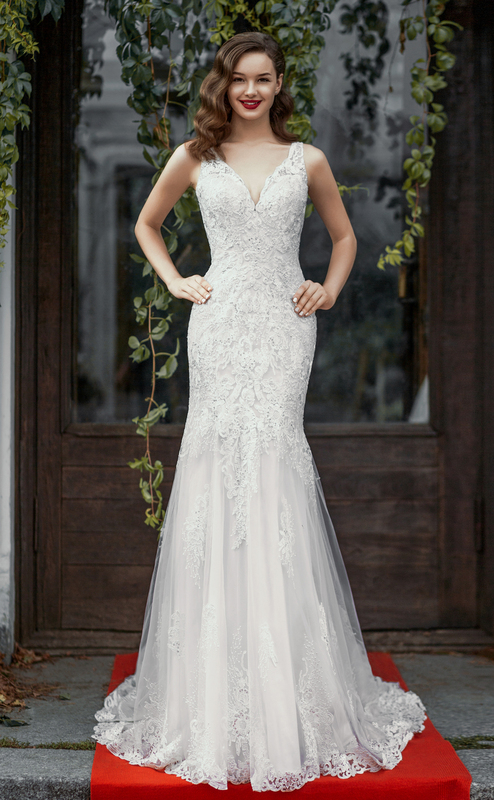 An elegant, vintage-inspired bridal gown with a form-fitted silhouette and floor-length lace skirt. It focuses on deep V-neckline, drape sleeves and portrait-back. It’s finishing off by cathedral-length train.